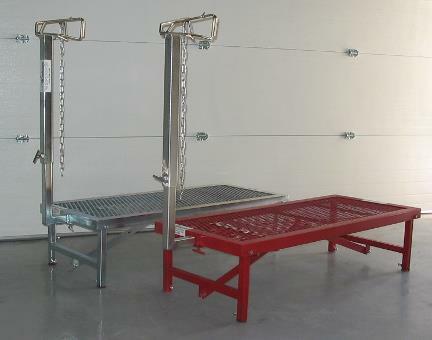 The Heavy Duty Stands have adjustable legs and fold up flat for easy hauling. They are heavy enough to withstand the largest sheep out there. The prices of our trimming stands include your choice of head pieces. 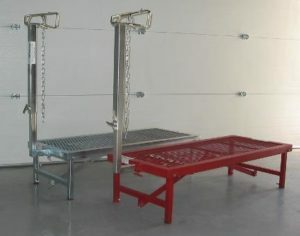 All of our Trimming Stands come with a LIFETIME WARRANTY!